Frequently Asked Questions - what you need to know! Discuss with your celebrant an overall fee, including any added extras, and when a deposit and full payment is required. We issue an invoice at the time of lodging the Notice of Intended Marriage. Please contact us for a firm price, once we have quoted a price there are no hidden extras. We offer Wedding ceremonies in Brisbane and we would love to assist you in planning your wedding. As soon as you have chosen your wedding date. Don’t leave it till the last minute as you’ll find you may have very little choice of Celebrant. 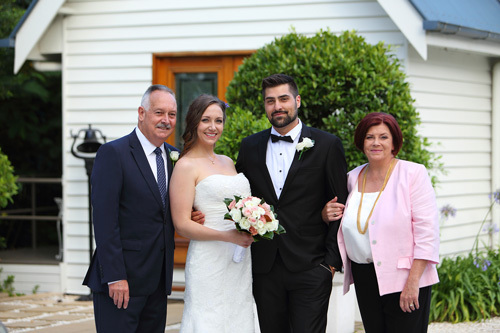 At Mr and Mrs Celebrant we offer the choice of male or female celebrant. You are required to give a Notice of Intended Marriage to a Celebrant at least 1 month before your wedding date and you are required to provide your Celebrant certain documents, please see the legal requirements page on our website for a full list. If you don’t currently have these documents, it may take some time for you to obtain these documents. However, you don’t need these documents to complete the NOIM though they must be sighted well before you are married. No Problem. The form can be lodged with only one signature but your partner will need to sign it well before your wedding day. My partner is divorced, and I am widowed, what documents should we show? If previously married, you are required to provide evidence to show that the last marriage has ended. This is in the form of a Death Certificate of the previous spouse, or a Certificate of Divorce. Can we change our wedding date or venue after booking? Yes, however, you will need to check your Celebrants availability. How do I change my name after marriage? If you are married in Australia and want to update your driver licence or passport or other government documentation to your married name, you will need to apply for an official marriage certificate from Births, Deaths and Marriage.